Nichiren Daishonin inscribed the Dai-Gohonzon on October 12, 1279. 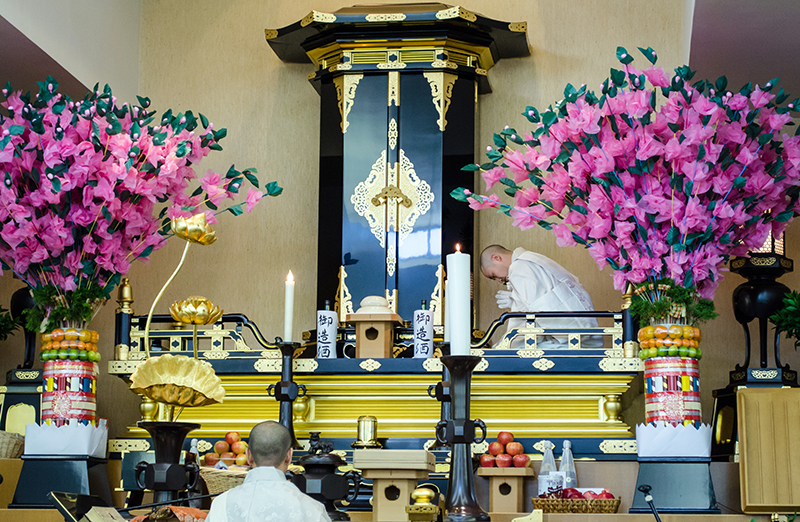 Nichiren Shoshu's successive High Priests' transcriptions of the Dai-Gohonzon are the carved wooden or scroll Gohonzons that you see enshrined in our Temples and in the altars in members' homes. It is the object of worship in Nichiren Shoshu Buddhism. 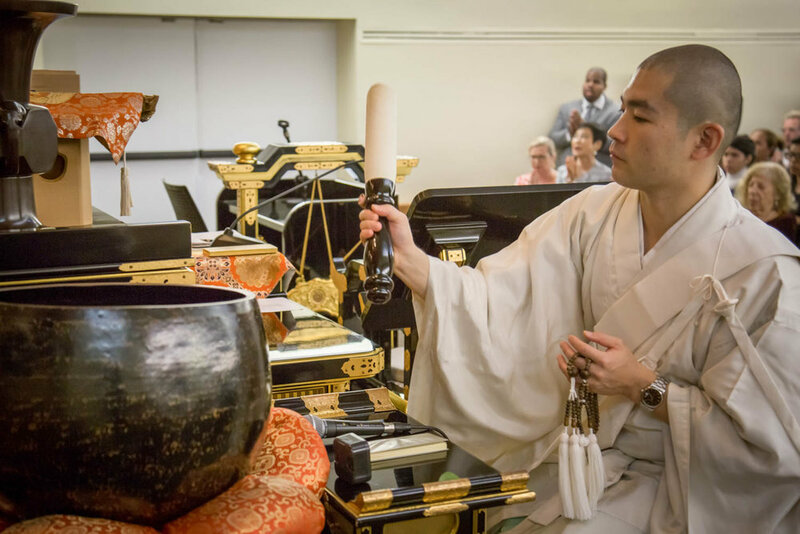 The Gohonzon is the physical embodiment of both the Original Infinite Law of Nam-Myoho-Renge-Kyo and the enlightened life of the True Buddha, Nichiren Daishonin. It is the foundation and source of all Buddhist teachings. When we chant to the Gohonzon, our own inherent Buddha nature itself awakens and emerges.